Dying Light is a brutally fun but immensely difficult game, there's no doubting that. In this strategy guide I'll be sharing some of the tactics that have helped me through the game. I'll be covering everything from the open world and exploration to surviving the night and upgrading weapons. It takes around 15 hours to complete the basic Dying Light quests but this increases to 50 hours if you go for side quests, challenges and maxing out your character. Dying in the game will reduce your survival points, punishing you for taking too many risks. During the day, zombies congregate on the streets, usually in small groups. To avoid zombies during the day simply take to the roof tops where you can explore the world unhindered. Of course, use caution to avoid falling and even consider the skill perk to reduce fall damage. Players can climb just about anything in the game, but scaling a building is best done using ledges, window frames and scaffolding rather than looking for stairs or direct access points. It may seem a little dull but looting is going to make life alot easier. In particular, money gives you the option to buy items, equipment and weapons from any of the vendors. You'll find money on dead zombies but mostly in cash registers in shops. Valuable items such as Jewel Boxes can be found in chests, usually those chests which have locks protecting them. These items can be sold at shops for a high cash value giving you the option to buy some of the high value gear including guns and ammo. The lockpick is a simple tool which can help you access restricted rooms and open up locked chests. Every lock in the game can be picked but the skill level varies from Easy to Hard. Hard locks usually present the best loot so it's always worth trying several times to crack those open, even if you lose several picks in the process. I usually start 45 degrees in from the left then try to turn. If not successful, move another 45 degrees (vertical top) and try again. Keep moving round until the lock turns slightly or you get nothing. If you get nothing from the first sweep, start again from the left but place the pick in between the previous points to cover the areas which were not explored last time e.g. 30 degrees, 75 degrees etc. If the pick is in the right place then the key will turn. If it turns slightly but breaks, then move the pick either side of this point and try again. The correct point won't be far off. Hard locks have a smaller range for an acceptable pick, so you'll need to move the pick very slightly to get the perfect spot. Regularly capturing safe houses is an essential tactic to venturing deeper into the world. These safe houses act as respawn points when you die so ensure you have a safe house not far from your current objective to save time travelling there again. Safe houses commonly contain loot, beds and storage chests. You can store your additional inventory items in chests to conserve space for new items you may find at a later time. The bed can be used to sleep and skip forward in time if required. Zombies may seem like pretty stupid monsters during the day but at night they turn into fast, deadly predators that can move quickly both at ground level and on roof tops. Their detection senses are also heightened at night making it easier to detect your actions. It's quite simply to see the night coming; there's the bells which toll repeatedly but also the setting sun and reduction in light are both giveaways. At this point, you should immediately look for a safe house (unless you want to go searching at night). If you'd prefer to avoid the night entirely you can claim a safe house for yourself and then sleep in one of the available beds which will skip time forward to the next day, day time. At night you need to be extremely cautious. Keep your safehouse within easy reach before searching the area. Take Boosters, especially speed and night vision. Avoid using noisy weapons and engaging with zombies unless they're a threat. If you've got the trap skill unlocked, look to traps to block a route or attract zombies with exploding cars to take out an entire group. Once detected, you need to work quickly to reduce your detection level. This can be achieved by reducing your noise, light level (e.g. flash light) and even hiding. Jumping into canals and waterways can be a great way to escape from zombies because they will not follow you. Having a good weapon will be the difference between dying constantly or steadily progressing through the game. Although you can avoid zombies in many situations you'll have to confront them to claim safe houses and complete quests. Apart from guns which are great for obvious reasons, the two handed weapons are the best for smashing through zombies. Although slower to handle than other weapons, once you master the timing aspect they're excellent. Heavy hammers are the best blow for blow, but the baseball bat is one of the lightest two handed weapons in the game, providing power whilst not consuming too much stamina. Other one handed weapons such as Sickle's are great for slicing through zombies and they make for a good primary weapon in close quarters or as a backup for your two handed. Always remember that weapons degrade so you should try to keep enough materials to repair your equipped weapon. I'd suggest avoiding knives and smaller blades entirely because it's easy to get caught in a corner and quickly die. 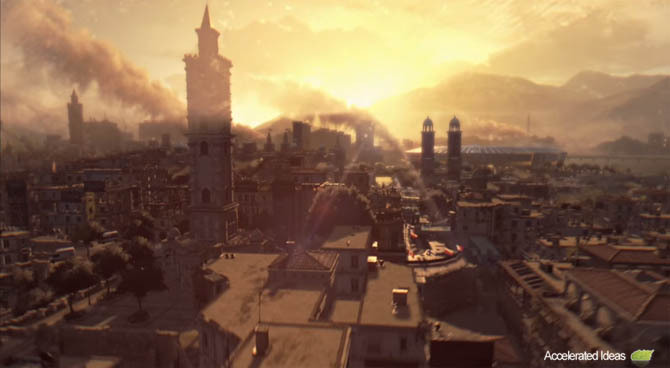 Dying Light gives you the option to play the game as you wish; be that quests, challenges or free roaming. You'll need to complete a mixture of these to progress your XP levels and unlock more Skill Trees. Completing quests is the best way to progress multiple aspects of your character. For example, transversing the world using parkour while completing quests will both increase your Agility XP but also move you closer to a quest reward which can include new Blueprints and XP. Exploring at night is the fastest way to increase your XP because nighttime rewards double XP. 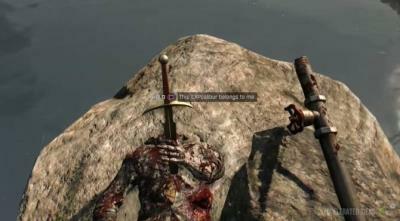 Unlike Far Cry, grapple points are not required in Dying Light in order to use the Grappling Hook. Instead, players can aim the GH in any direction they want and a Spiderman like affect will immediately drag them towards the location. This can be used both vertically to climb buildings and also horizontally to cross rooftops. The downside to the Grappling Hook is that it's part of the higher tiered skill tree and needs a sufficient Survivor level to unlock it.